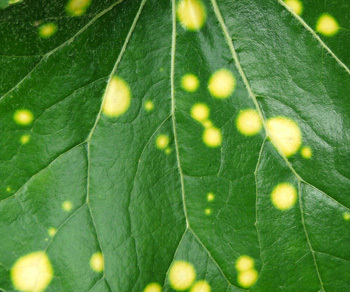 This is my much loved spotty foliage plant, a Ligularia which is commonly known as the Leopard plant. It is happy in partial shade at the back of the wood shed. This is its third position in the garden, and I think I've finally got it right! 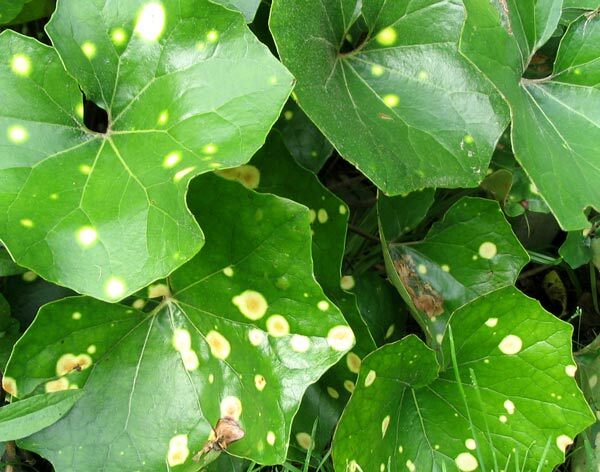 The Leopard plant gets different names in the plant dictionaries. Some say it's a Ligularia, some use the name Farfugium. In early spring I just trim off any dead leaves. I'm not sure what sets their spottiness off, though - some years there are very few! More water? More sun? More food? Better neighbours? Hmm... I'm sure it must be having just enough sun - not too much, not too little.